This distinctly Southern recipe is most often cooked and served as a casserole. Now, if you’re wealthy enough to afford a quart of oysters or lucky enough to be able to get a sack, not to mention industrious enough to shuck them, knock yourself out. If however you’re poor, unfortunate and lazy (as I am), you can assert (as I do) that this simple, elegant recipe deserves a more sophisticated presentation and cook individual servings in a gratin. Most traditional versions of this dish employ parsley and paprika, but I feel the parsley gets lost and the paprika adds an unnecessary smoky accent, as does the Worcestershire many use. I use chopped scallions in lieu of parsley and grated onion or shallots, seasoning with only a bit of black pepper. While oyster cracker crumbs are undoubtedly a nice touch, I use saltines and a heavy cream instead of half-and half. Place a single layer of drained oysters in a 10” gratin, drizzle with melted butter, sprinkle with chopped scallions, a little more butter, pepper and top with cracker crumbs. Lift one edge of the mixture and slowly pour in the cream, being careful not to wet the crumb topping. Bake in a very hot oven until bubbling and lightly browned. We all know people who simply will not listen to argument, who will not take “no” for an answer, and my buddy Dale Harper is one of them. I love him dearly, but his opinions are unshakable, particularly when it comes to food. Dale has been cooking all his life, knows food, knows people, and will tell you in a heartbeat what will fly and what won’t. So when I told him a dish with oysters and bacon would go over like a lead zeppelin, he just laughed, patted me on the back and poured me another beer, which of course obliged me to listen. “Be hush,” he said, thrusting his beard forward in a gesture of authority. “Of course you think, but you don’t think enough. 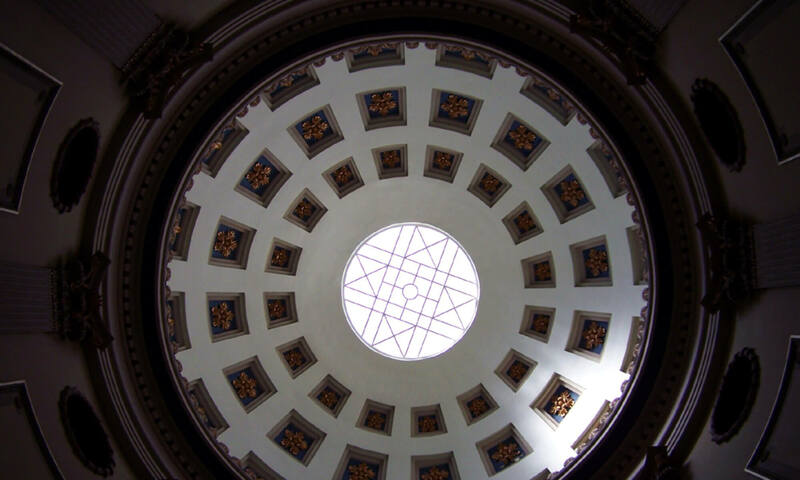 You have to consider things in many lights and from many angles, in this case an examination of contrasts. The oyster lacks fat!” With that he plunged his forefinger onto the bar and then pointed it at me in accentuation, a superfluous gesture, since his beard was already putting my eyes out. That’s how Dale brushed away my conviction that angels on horseback is one of those Wayback recipes like rumaki that’s been consigned to the cholesterol woodshed. Upon some less-than-sober reflection, I thought, “Why not?” Angels on horseback have been around for a very long time, and the recipe is simple: wrap oysters seasoned with black pepper or cayenne in bacon (trim it as you like), skewer and broil (I don’t recommend grilling) until bacon is thoroughly cooked. Bring the bacon to room temperature before wrapping the oysters, which you should pat dry before skewering. Turn once for crisping. Don’t use toothpicks, but if you do soak them in water to minimize scorching. This dish is a fusion between a Rockefeller and a Bienville, named for Louis LeFleur, the Father of Jackson, Mississippi, as the Bienville is named for Jean-Baptiste Le Moyne, Sieur de Bienville, the Father of New Orleans as well as Mobile. 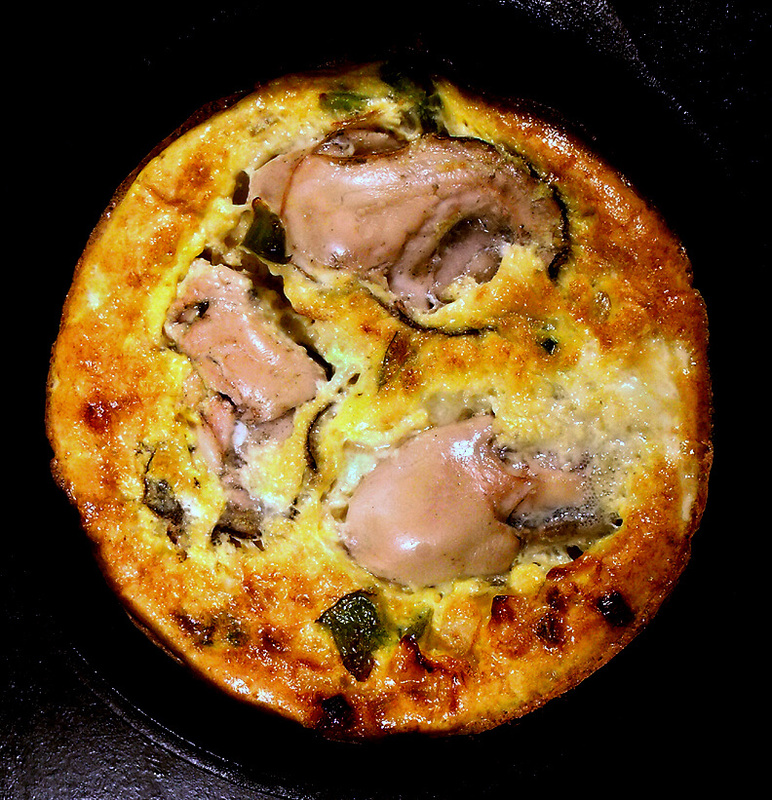 Oysters LeFleur is a rich dish, and can be served as appetizer or a luncheon entrée. A lot of people ask me why my recipes are “vague”, meaning that the measurements in the recipes aren’t exact. I have my reasons, first because I rarely cook with measuring cups and spoons, and I make no apology for that because most people I know rarely do either. Secondly, if I say a recipe is for such and such a number of people, I think my readers have enough wherewithal to figure out how to increase or decrease amounts as needed, and this applies to the use of particularly pungent ingredients as well, since any practiced cook will know to use them in sparing amounts. As a rule, people who read recipes know how to cook, and given a list of ingredients and procedure can make sensible decisions on how any given dish is made. Lastly and most importantly, I do not expect anyone to follow a recipe precisely; somebody might not like fennel, or dill or spinach, perhaps a food allergy might be involved, in which case they’ll either leave it out and substitute something chard or mustard instead of spinach and achieve good results. 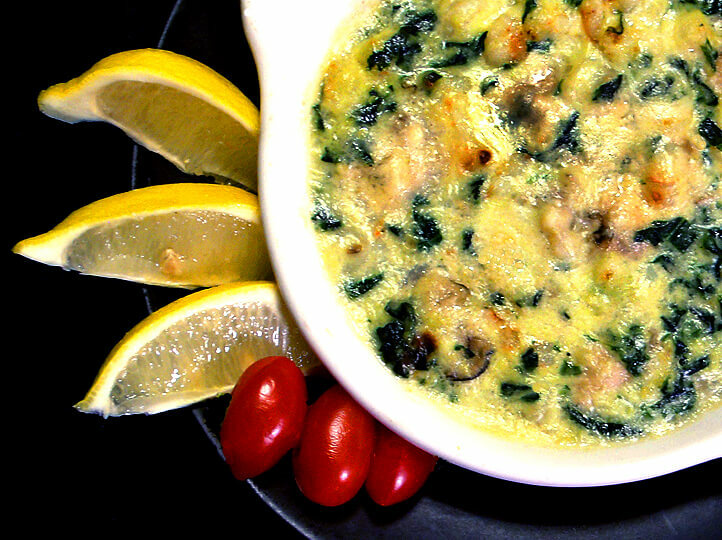 That being said, oysters LeFleur are oysters broiled in a thick velouté with spinach, green onions, minced cooked shrimp and a hard grated cheese. The only seasonings are Tabasco, a slosh of dry white wine, salt and white pepper. 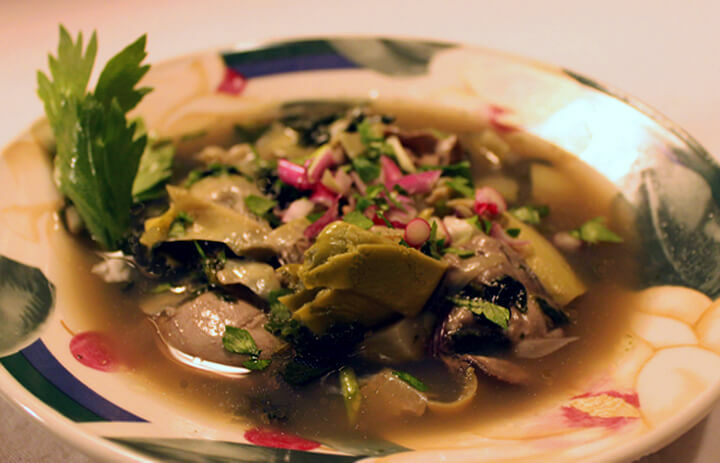 Diced mushrooms are a wonderful option, as are mild peppers, but to be LeFleur, the dish must have oysters, spinach or a viable substitute as well as shrimp. Drain the oysters quite well, and add the sauce cooled, thick enough to be spooned. If you’re not cooking the oysters on the half shell, put a layer of sauce in your cooking dish, add the oysters and top with more sauce, dust with grated hard cheese and breadcrumbs. A dozen serves two as an appetizer, one as an entrée. Here in the South people of a certain age are known to have casseroles in their freezers ready to pop into the oven when told of the death of a distant friend or same such relative so they can rush hot food to the designated home after dressing, coiffing and putting on an appropriately soulful demeanor, but foods associated with one’s own death are exceptional, the most notable examples being the last meals of the condemned, which range from the anticipated extravagant to the unexpectedly mundane or bizarre. In the first category we have such foods as the steak and lobster ordered by such as Ted Bundy, Allen Lee “Tiny” Davis and Ronnie Lee Gardner. Sacco and Vanzetti had soup and meat with toast and tea (appropriate). John Wayne Gacy had a dozen fried shrimp, a bucket of original KFC with fries and a pound of strawberries (expected). Timothy McVeigh had two pints of mint and chocolate chip ice cream (skinny). The ultimate example in the second category would be the last federal inmate executed in the United States before the moratorium on the death penalty following Furman v. Georgia, who settled with a single olive (black with pit). A restaurant in Japan currently offers the last meals of these and others to patrons; no substitutions. Then you have this unique example of a dish reputedly used by a condemned man to delay his own execution. The unfortunate unknown was sentenced to be hanged in Placerville, California, which is a little over 100 miles northeast of San Francisco, during the Gold Rush days. For his last meal he ordered oysters and eggs knowing that the oysters would have to be brought inland by wagon over rough roads delaying his execution by several days. Other versions of the origins for hangtown fry exist, but the poignancy of this tale resonates. Hangtown fry is nothing more than an oyster omelet or frittata. Bacon, onions, sweet peppers and ham, are traditional, unsurprisingly reminiscent of the ‘Denver’ omelet. Somehow I find hangtown appropriate for a Sunday night. We had a little oyster bar at Parlor Market. 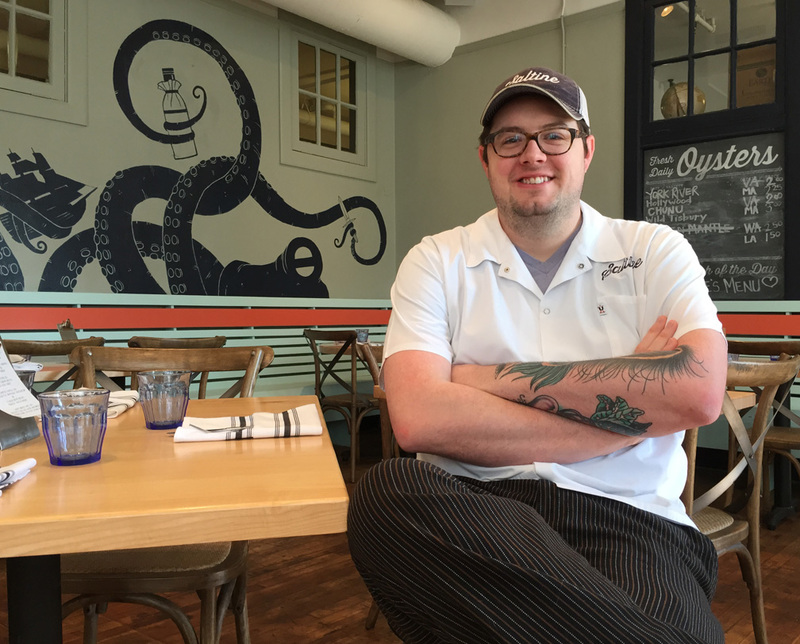 That’s how I met Craig Noone; we worked at an oyster bar in Stephan Pyles’ flagship, so with the tiny oyster bar in Parlor Market I got to see how Jackson feels about seafood and oysters. That planted a seed, and when I was leaving City Grocery in Oxford, I decided that Jackson would be a good spot for an oyster bar. Since the oyster bar is the heart of Saltine, we keep the rest of the menu very seafood-centric, and being in the South, we keep the menu Southern-rooted. Then again being who I am, I like to keep things fresh and creative, to push the envelope. It’s a challenge with this concept because being in Jackson I think we get a little more of the old school mentality here towards Southern seafood, whereas at the Parlor Market, even though it was very much Southern-rooted, it was from the get-go known as a place where you could go and get an off-the-cuff creative meal. Here there’s a bit of resistance to that, so catfish, po’boys, the oysters, the wood-fired oysters, the redfish on the half shell are our top-selling dishes. The more creative dishes are harder to sell. We have an Asian influence in the calamari dishes, which is an ode to Paul Qui, who I got the opportunity to work with while I was at culinary school at the Le Cordon Bleu in Austin. He does a Brussels sprouts dish he’s very famous for that has the same kind of sauce with herbs, mint, cilantro and cabbage. The oysters Lafitte I would say is the most New Orleans-style dish we have, and we put that together while on a trip to Lafitte, Louisiana to fish for redfish, using what we had around us. We went into a little crawfish shack, ordered a couple of pounds, peeled them ourselves and put some on the oysters we had on the grill at the fishing camp. Then we have the white Alabama barbecue sauce, once again playing up Southern dishes. The citrus butter with coriander is a nod to a lot of the garlic butter oysters you’ll find at places such as Drago’s, but a lot brighter and more floral. This summer when we opened the oyster market was very bad. 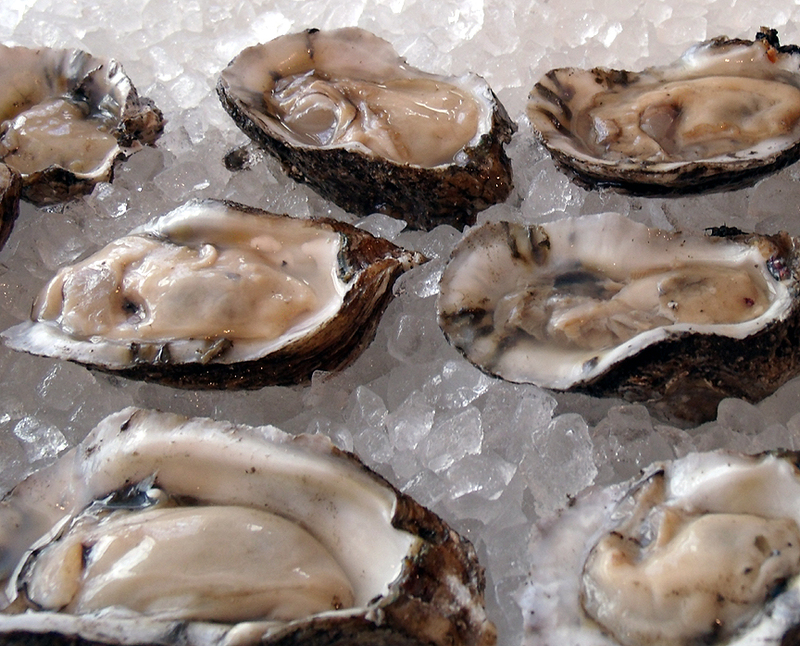 It certainly wasn’t the prime season for Gulf oysters by any means, and due to different regulations in Louisiana that seek to control the quality of oysters, the only ones that could leave the state were those harvested on refrigerated boats. The oysters go straight from the water into refrigeration and from those boats into a refrigerated facility or on a refrigerated truck to Jackson. That’s a huge expense. There aren’t a lot of people who do that, so we had many customers who were upset because we didn’t have Gulf oysters. 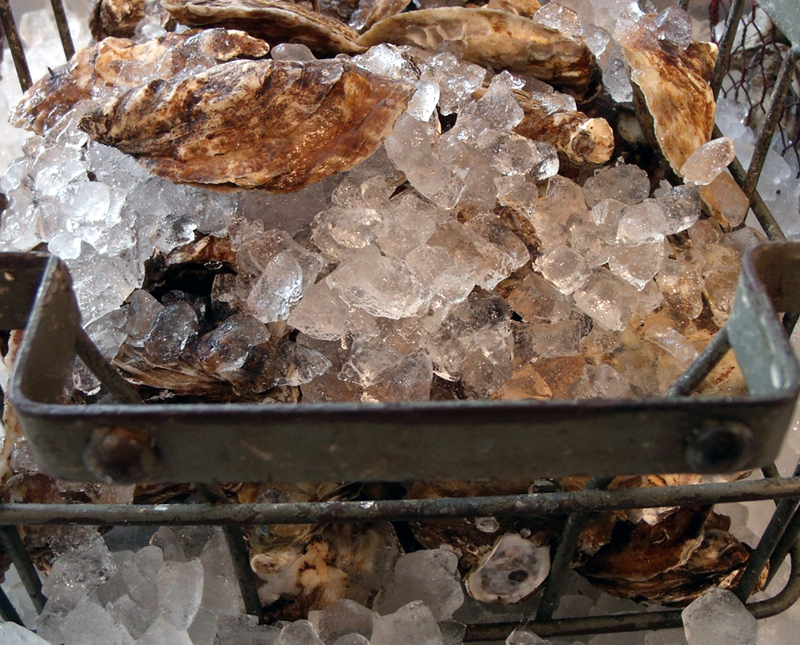 When we opened, our oysters were sourced from Virginia other places on the east coast. They were very inconsistent in size, people only wanted the big ones, so it was a struggle. But as the temperatures went down, the oysters have become more available, and we no longer have that issue. We have them coming in literally every single day. I probably get anywhere from eight to twelve sacks of Gulf oysters a day, almost a thousand oysters that we go through, and we get probably another twelve to eighteen hundred from other parts of the country: the Pacific Northwest, Virginia, Massachusetts, New York, all over. Almost all oysters these days are farm-raised, but oysters out of out of the Gulf are still wild. Even though most of the wild oysters along the east coast were eradicated back in the 1800s, and they introduced new species, some of which were invasive and killed off the native populations, you can still get wild oysters from the Gulf. I’ve heard of some great oyster farm programs in the Gulf as well. Derek Emerson was sharing some great stuff with me the other day; he and Chris Hastings were talking about these oysters off Dauphin Island that are grown in baskets that tumble in the surf, which give the oysters a great shape and salinity, and have almost no mud or dirt because they aren’t on the bottom. The other day a supplier out of Birmingham offered me some oysters called “Bama Beauties”. They were sold out at the time, and they were expensive; they were (my cost) a dollar an oyster, and I’d have to be selling them at almost $3.50, the same price I’d ask for a really high-end Pacific oyster. More gourmet Gulf oysters are starting to pop up, but the challenge will be getting people who are used to $1 or $1.50 oysters from Mississippi or Alabama to buy them. thought it would make an awesome restaurant. Fast-forward to last year when I was looking for spaces, I was actually looking for a house, so I looked on State Street and Mitchell Avenue, but we just couldn’t make anything work. I talked to realtor Mike Peters and told him I wasn’t totally committed to a house, and he walked me through this space. With all the original brick, windows and floors, it just came together, I couldn’t be happier, and I can’t imagine it anywhere else. I put this restaurant in the hipster capitol of Jackson, and I anticipated my friends and younger people, but I have more of an older demographic. It’s really mixed. I do get some people from out-of-town due to the great articles in “Southern Living” and “Garden & Guns”, but for the most part it’s really different from my expectations. I’ve thought about how the restaurant will evolve a lot. Things are still up in the air as we try to keep the house packed and discover what will drive people in to build our lunch business and early weekend business. The craft beers have really picked up more than I thought it would before we opened. It was always going to be a bar that focused on craft beers. We have thirty-one draughts. At first wine and cocktails were ahead in the mix, but soon the craft beers began outselling them. So we’re pushing that envelope and advocating the craft beer scene in Mississippi, which has growth spurts as well as growing pains. The creative food is where I feed myself, it’s what I enjoy doing and why I love being a chef, but I have to ask myself if it’s right for here. Whereas I used to be able to put anything I wanted in front of people at Parlor Market, people would try it because it sounded interesting and love it and embrace it, that’s a struggle here. It’s a learning curve on the floor and in the kitchen, and though because of the long hours I work it feels like I’ve been here for five years already, we’ve only been open for six months. I have to keep reminding myself that.